isn't that the sweetest name for a town? This elegant waterbird is another one seen only in the winter here on the East Coast. they are on the bigger side, and the sexes are similar. 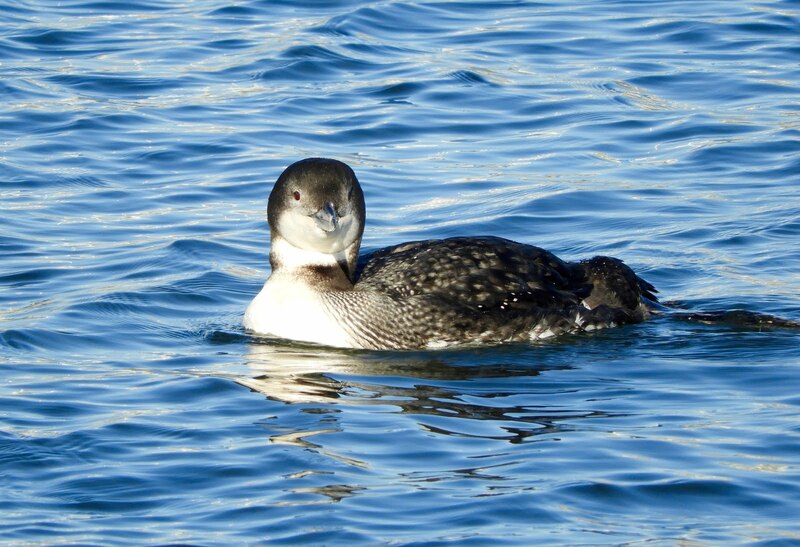 There is a Pacific Loon here at the inlet, a very rare sighting for the East Coast. but quite honestly, the differences are so subtile, I don't know if I have seen it or not. This last picture could be it, but I am really not sure! The bill seemed to be a little shorter and this one was a little bit darker in color! These pictures were taken on February 4, 2019. A Loon is a Loon, my dear, not a duck. It belongs to a different family entirely. Water is the only thing they share in common. Hello, love your Loon photos. Maybe you have seen the rare Pacific Loon. It is hard when they look so much alike. Thank you so much for linking up your post. Happy Saturday, enjoy your day and weekend. PS, thanks for visiting my blog and for leaving a comment. New birds for me...nice too see them. Your shots are beautiful, as always. Well hopefully you did. Its so nice seeing your pictures. I hope that I get to hear one someday. How pretty and what fun to try to id birds we don't normally see! Love the pretty blue water ripples too! Enjoy your weekend! These are gorgeous! 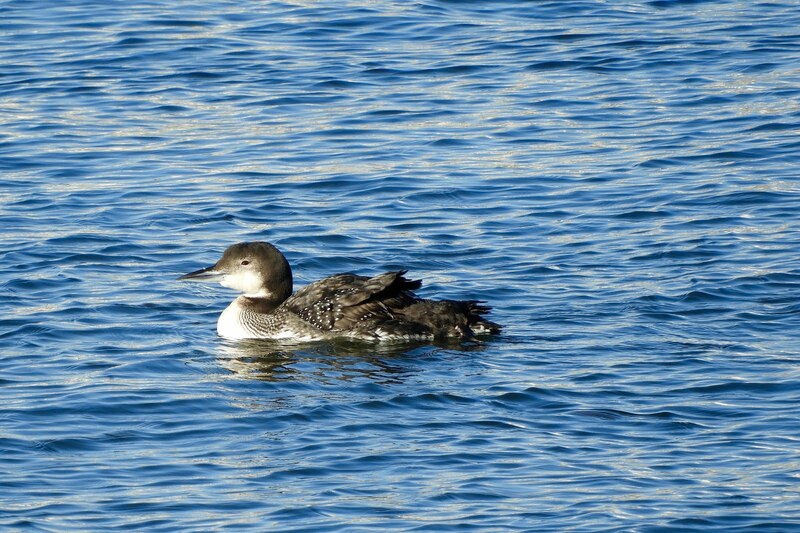 I've never had the opportunity to photography a loon. I love the Loons. I'm already waiting for them to show up on our local lake. 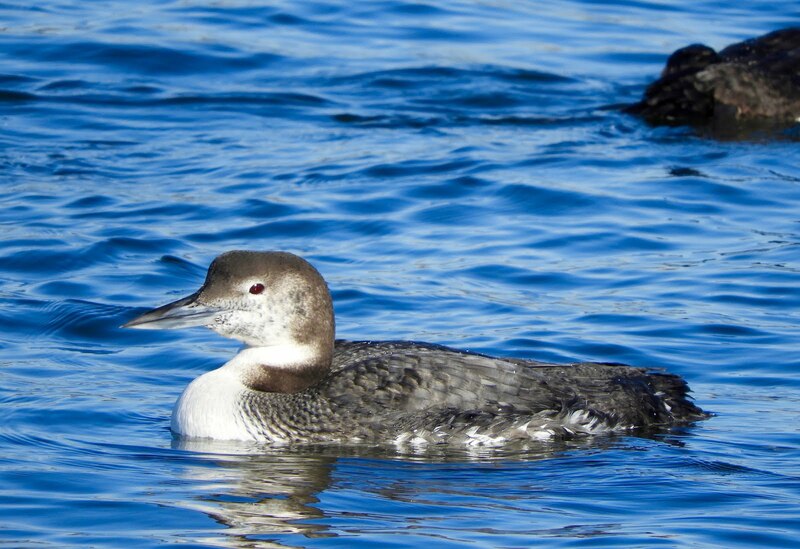 Great shots of the Loons. In the UK these are known at Divers and come to us in the wintertime. Have a great well ahead. I love the name 'Loon'. Fabulous photos, Debbie. Love the reflections in that blue, blue water. Great photos of the rare to your area bird! They are so pretty, such interesting markings on them isn't it. I love the shot where he is looking at you head on too! These are lovely shots of a beautiful bird. I love the markings and I enjoyed reading about it all. I really like how peace, calm and beautiful the water is too. You just take great shots. 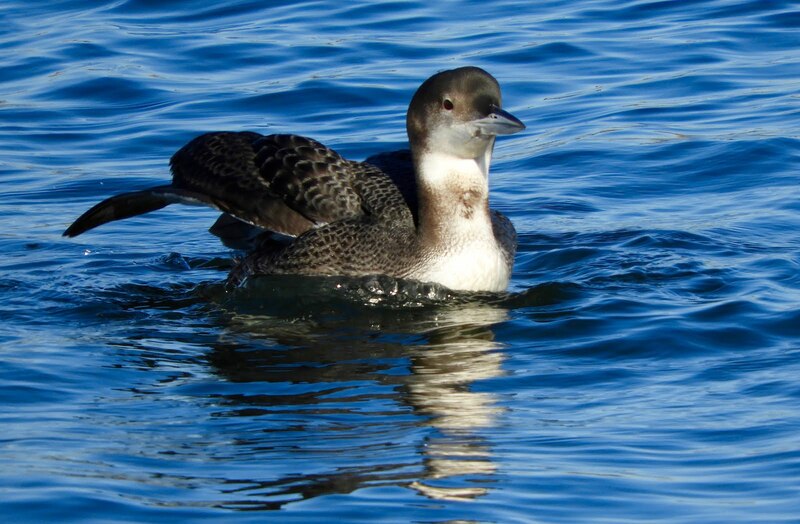 Great captures of the pacific loon Debbie. They are a sweet bird. Debbie - I love the haunting call of the loon. In Montana, there are quite strict rules about getting too close to them, especially when they are rearing their young! Love these pictures....it really looks like you are right there in the water with them! The water photographed so beautifully, didn't it? Hope y'all had a real nice weekend. I'm trying to get caught up with my blogging sisters!! Beautiful and interesting as well. Beautiful photos! I wouldn't know the difference between and east coast loon and a pacific coast loon (or to be completely honest, a duck - complete ignorance, here). BUT - I do know that I would enjoy seeing any of them, and I love seeing your photos! They are elegant...that’s the perfect description. 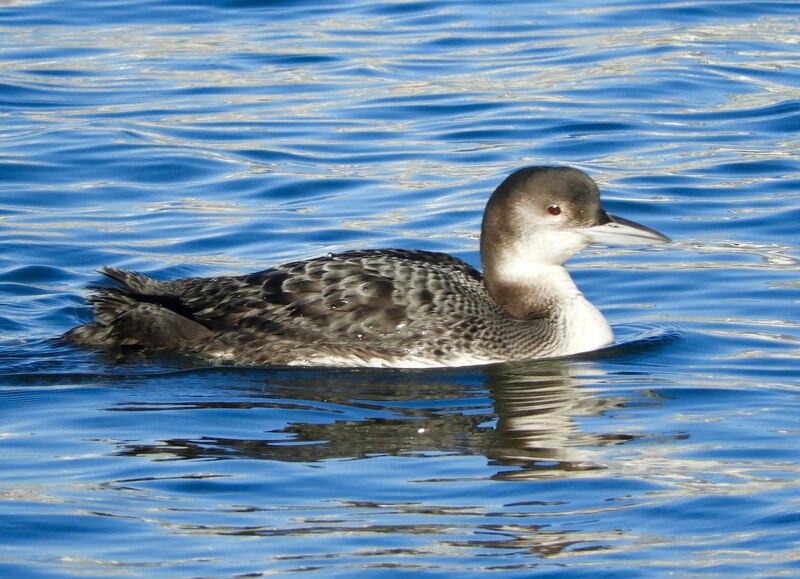 I live on the Pacific Coast (well nowadays part of the time) but I’ve never seen a loon “out west” ...those birders who can tell those subtle differences are way beyond what I’ll ever be able to do. I just love your Loon photographs.